Pure herbal. Without alcohol. Sugar free. 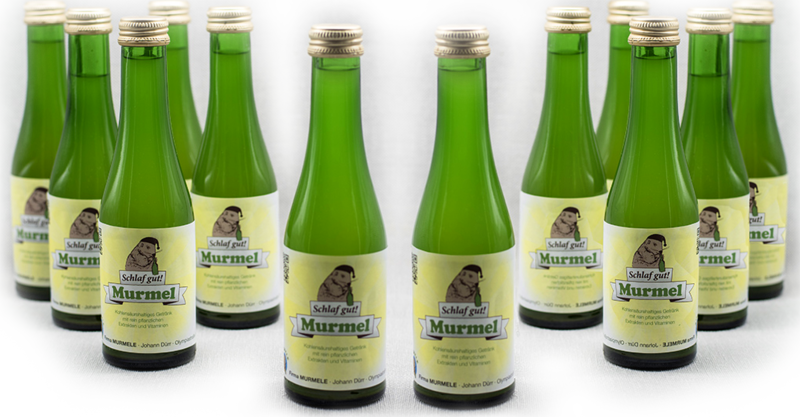 Sleep well Marmot – the drink for the night, for difficulty falling asleep and maintaining sleep! Without alcohol and sugar – on pure vegetable base – suitable also for diabetics. We recommend to drink/to make a effective cure for 12 days – drink each day before you go sleeping the SLEEP WELL MARMOT DRINK – 200ml – you going to sleep as a marmot – very healthy and sleep sleep tight – and you feel in the morning/on the next day fit and agile. The valuable vitamins inside (LMIV Dates) give you power and energy the whole day! We’d be happy to fulfil your order – please contact us regarding prices, shipping and handling!